'The Conductor' is March/April 2018's Film of the Month! Home | News & Views | 'The Conductor' is March/April 2018's Film of the Month! We are very pleased to announce that the latest winner of our Film of the Month competition is The Conductor made by Jack in Lincolnshire. The Conductor (Engaging for 14+) is a brilliantly directed drama and clever character study about a nervous young composer undergoing an audition in-front of a frustrated conductor. Please note - this film has one incidence of mild swearing. A well-executed and compelling story that packed a punch at the end. A great example of how to deliver a strong short film on a limited budget. Well done to all involved! We got in touch with Jack to ask him more about his film. How does it feel to win the Film of the Month competition? It feels amazing! It's great to see that people liked the film. Thank you! How long have you been making films? I've been making films for roughly around about 2 years now. However The Conductor was my first short film and I intend for it to not be my last. The music in the film is absolutely fantastic - which came first, the music, or the idea for the film? When planning the film I always knew I wanted music to play a strong part in the film. But I did come up with the story first and then I tailored the music around it. The music was created before filming had begun so that when the scene was playing out, the actors could listen to it and act alongside it. 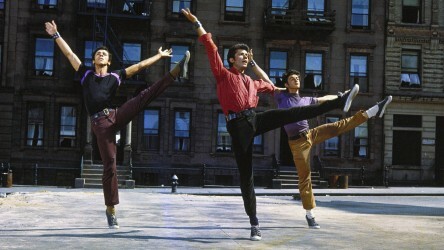 Rather than creating music around the actors movement. The Conductor has a very smooth, polished feel to it can you tell us a little about how you achieved that result? I knew while preparing the film that I wanted certain shots to take place. For instance every shot in the film is either on a static tripod or dolly. This was all because I wanted it to seem that the character of the conductor had everything forcefully under control. If the camera was on a shoulder or moving around freely, I think it would taken away from the feeling of control. Then when taking it to the edit, I didn't like the idea of rapid cuts, so to keep the story flowing smoothly, the cuts lasted rather than picking up the pace with more cuts. Was the film storyboarded in advance, or did you approach it in a more flexible manner? The film was precisely planned for over a month. Where there was a lot of paperwork involved, including storyboards. So that production would go smoothly. However the twist at the end was changed on the day of filming. What advice would you give to other young people who want to start making films? What kind of challenges should they be ready for? Focus on the story of your film. In my opinion it is without doubt the most important feature of a film. So if you spend some time creating a story that you like and enjoy, you'll love bringing it to life. And as for challenges, it's just a case of being well prepared. You never know what will happen when shooting, so you always want to make sure you have prepared for any scenario or have backups. Just a bit more planning could save you lots of time if something does go wrong while in production. If you could make The Conductor again, what would you do differently, and why? If I could make it again I would maybe tweak some lines of dialogue to make them sound more natural. I would also change locations, preferably taking it to a theatre so that the location would relate more to the story. Another thing would be to give the shooting some more time, maybe an extra day which would mean that the lighting could be played around with more and some details could be finer. What are some of your favourite films, and why? Did any of these influence The Conductor? I have too many! 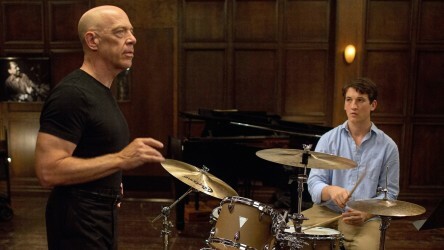 A film I love is Whiplash which heavily inspired the story in The Conductor. I also really liked the lighting in Whiplash's stage scenes so in The Conductor you'll see the use of tungsten lighting to try and create a similar feel (tungsten lights give a 'warmer' feel than other lights, such as fluorescent lights). I also graded the film to look slightly warmer than the footage, which is also something I really liked about Whiplash. I am also a big fan of The Shining. One of the things I really liked about that was the steadicam shots following the trike. I didn't want to implement something like that into The Conductor if it didn't have a place. But when there was a chance I liked to add in the dolly to create smooth movement. A film guide that looks at Whiplash (2014), exploring its key topics and themes through informal discussion. The Conductor will now be showcased to over 300,000 film club members online and all of this month's films can be seen on our YouTube channel. Jack has also won a £100 Amazon voucher and a DVD! If you've been inspired by this month's winner, find out more about how you can enter our ongoing Film of the Month competition. By the director of Whiplash, which inspired The Conductor, this romantic musical sees two inspiring artists attempt to make it in to Hollywood, while falling in love in the process. The exhilarating true story of a conman who posed as everything from a pilot to a lawyer while the FBI chased him across the globe. The story behind how Facebook came to be and its controversial founder Mark Zuckerberg rendered through powerful performances and cutting dialogue. This physiological horror follows a ballerina undergoing a dramatic change while pushing herself to extremes as the leading role in her company's Swan Lake production. 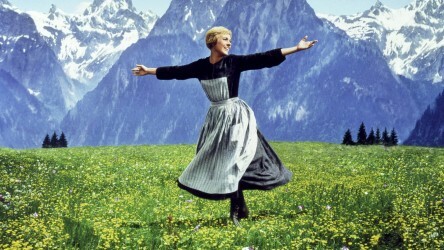 A film guide that looks at The Sound of Music (1965), exploring its key topics and themes through informal discussion. A film list that celebrates the power of music to express identity and bring people together. A selection of activities to support analysis and creation of film soundtracks.